FREE Mini-Course on Pawn Chains | Free chess downloads and training sites. Study material and suggestions. Online shopping. I have something very special for you today! I know how important understanding of pawn chains and pawn structures is… It can literally make or break your game. To help your game out, we are giving the Mini-Course covering the Pawn Chains – The Way the Masters See It – absolutely FREE. All you need to do it click this link, follow directions and the download will be emailed to you! 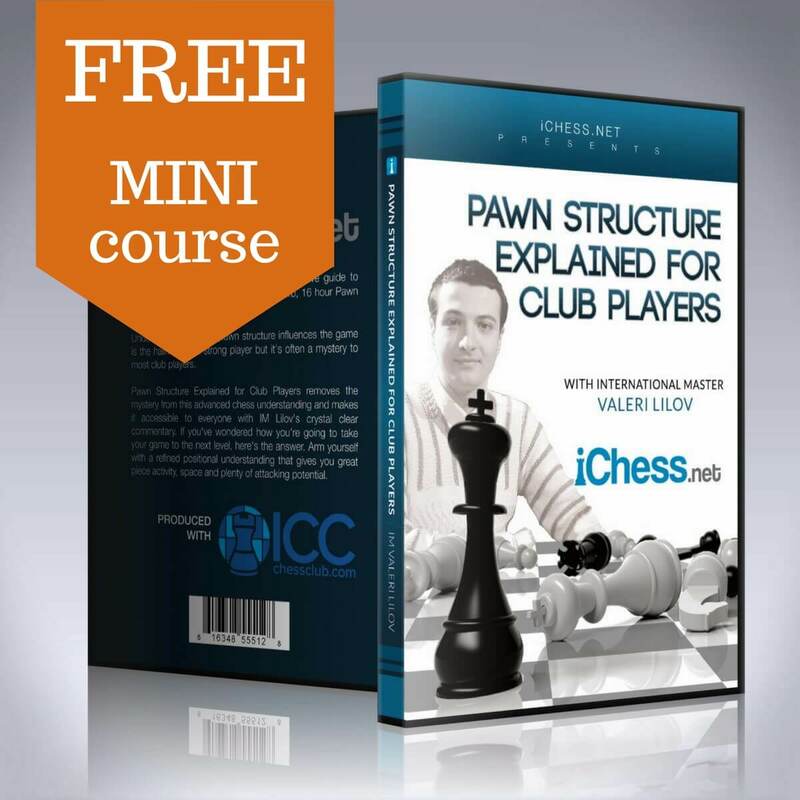 It is an awesome 1-hour video course, which is a part of Lilov’sPawn Structure Explained for Club Players.